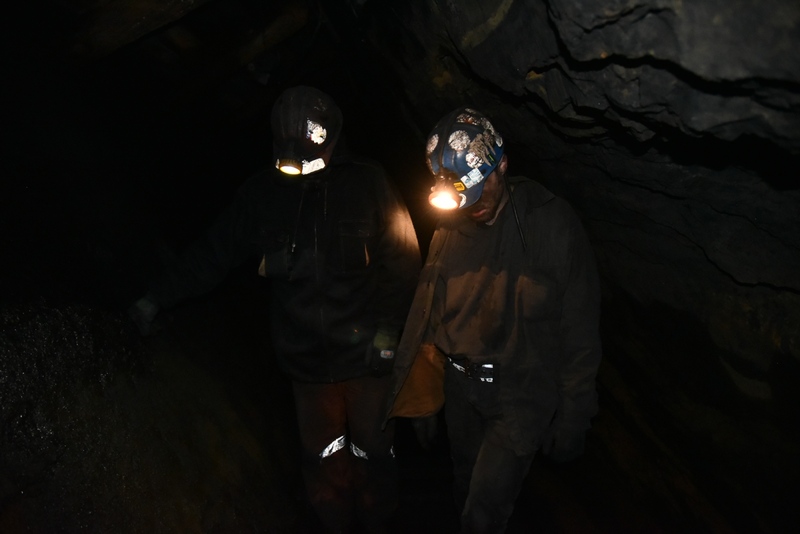 Anthracite is mined largely by hand using the same 19th century techniques as generations before. 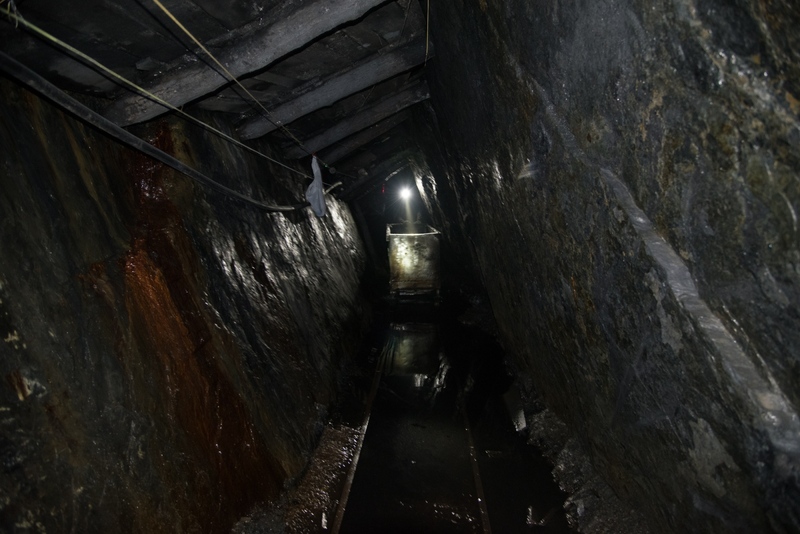 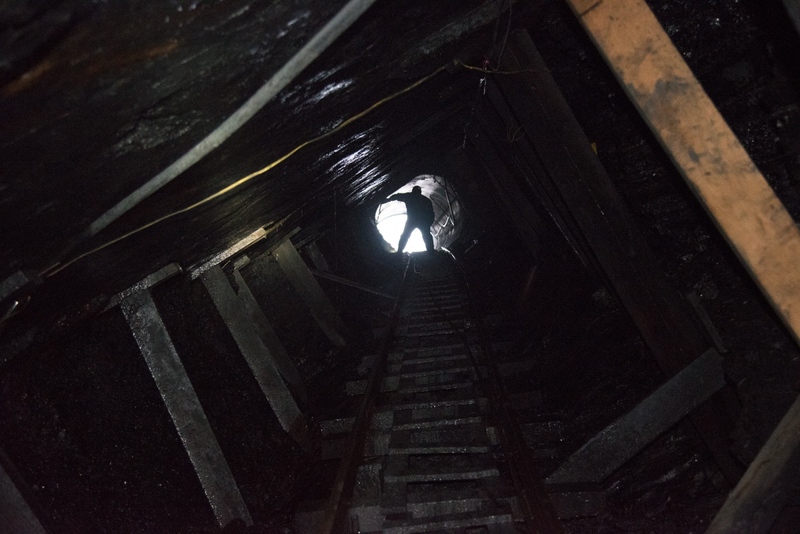 The coal seams are narrow and steep which prevents use of large equipment. 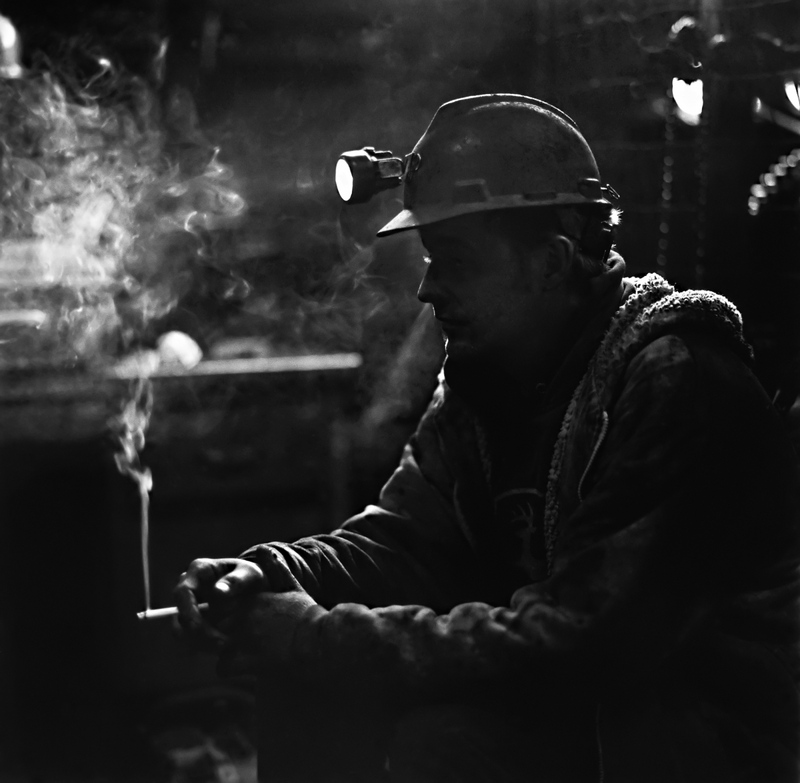 Unlike the large bituminous mines which have hundreds of people working below the anthracite mines have only a handful. 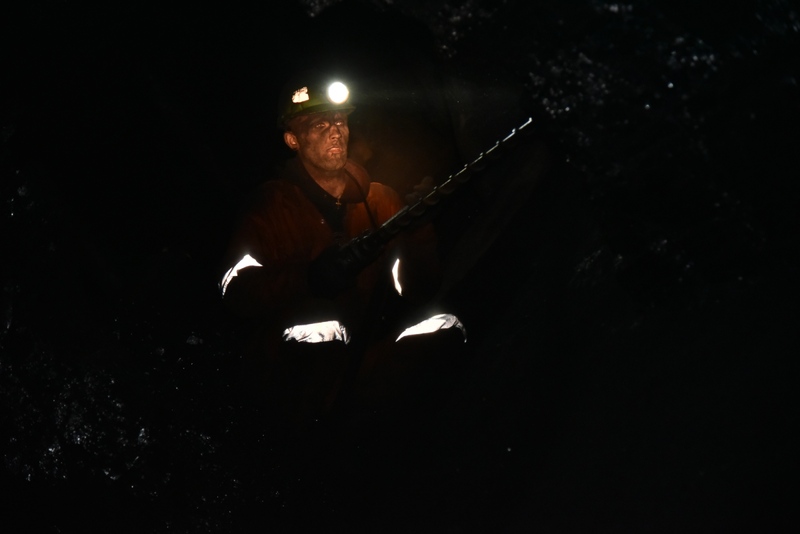 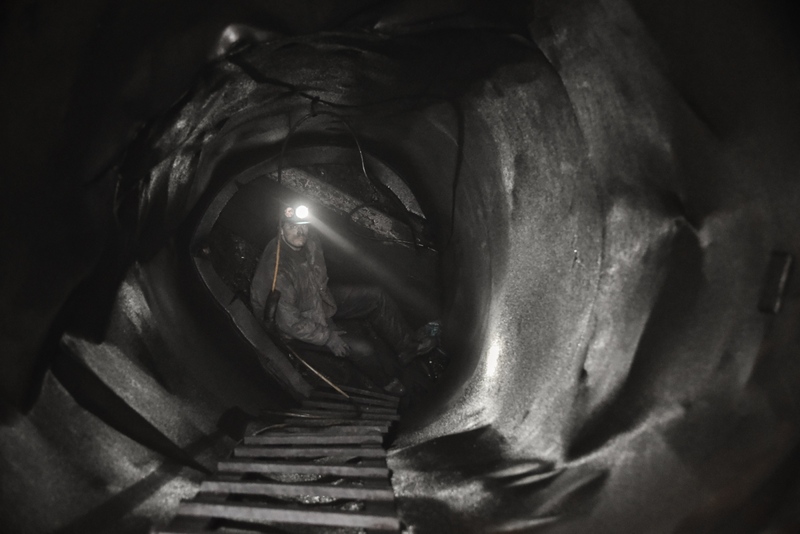 Third-generation miner Bob relishes being underground. 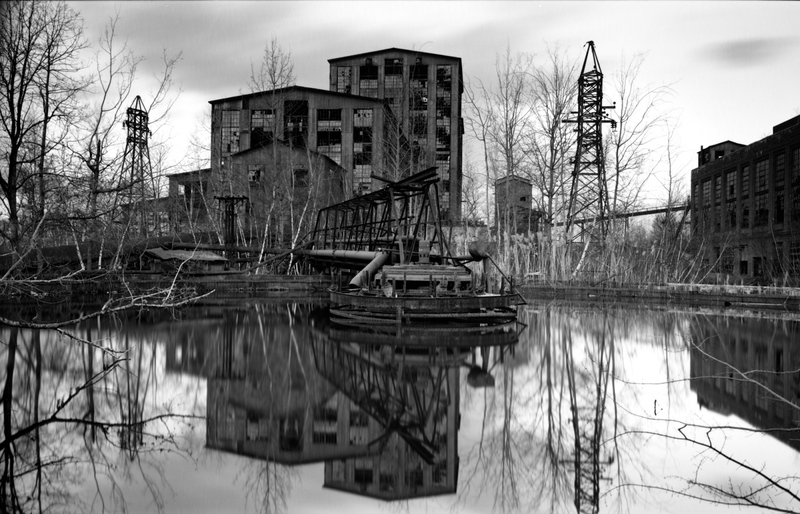 "It's peaceful. 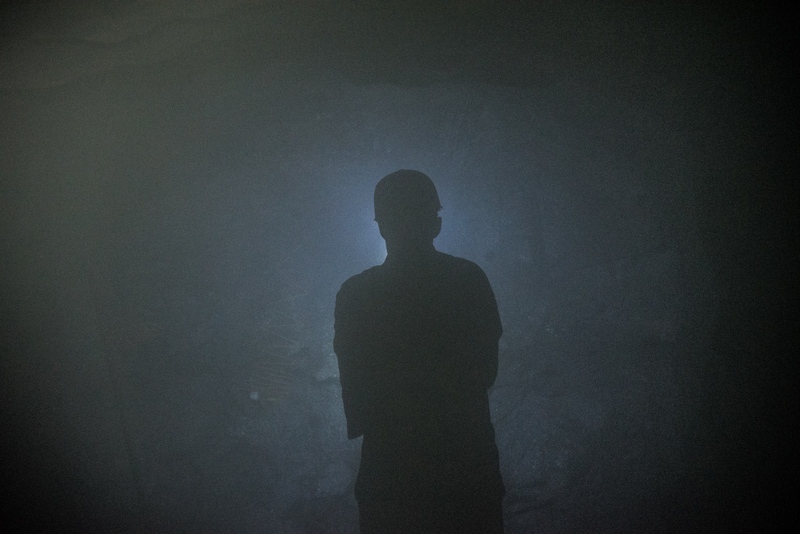 No one can bother you." 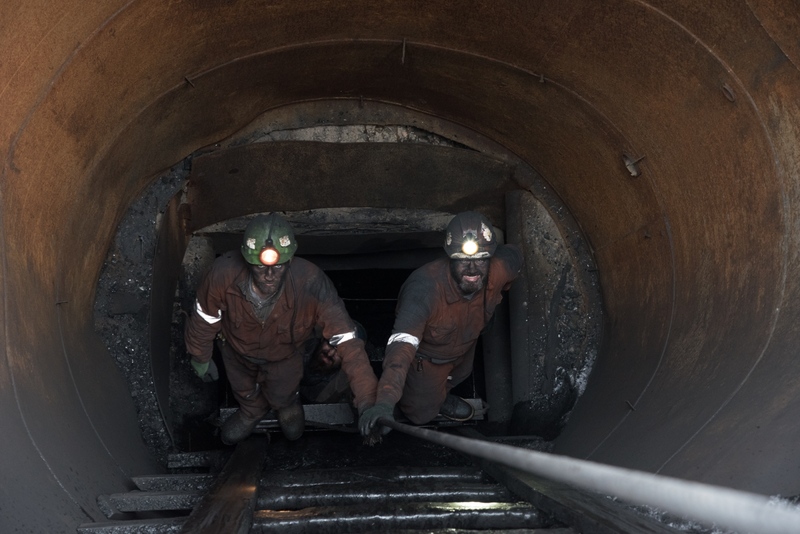 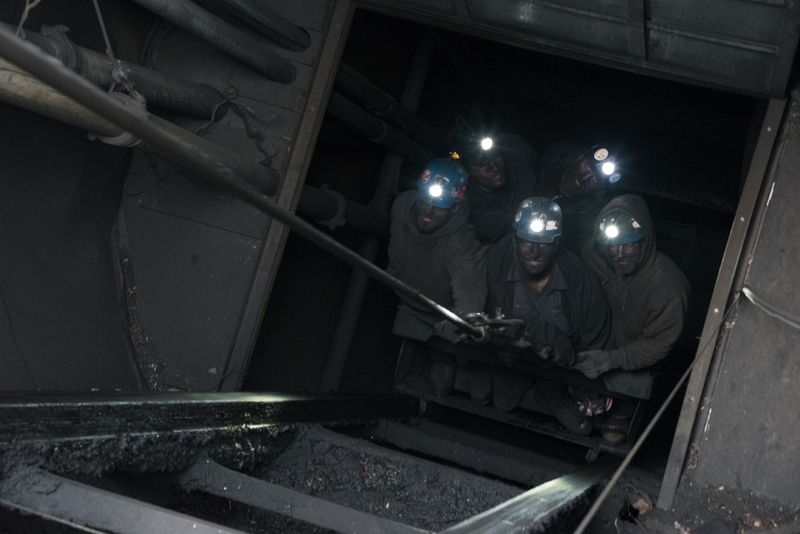 A core of anthracite miners work in mines owned by their families. 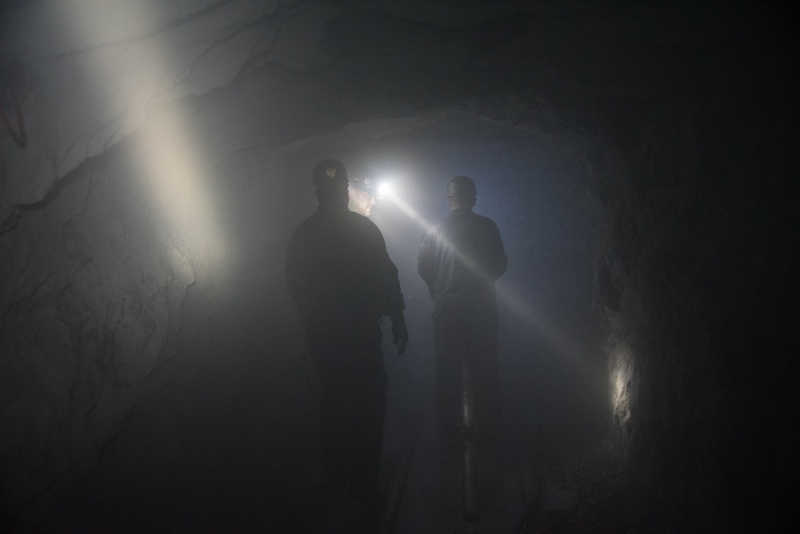 Others move from mine to mine as employment conditions change. 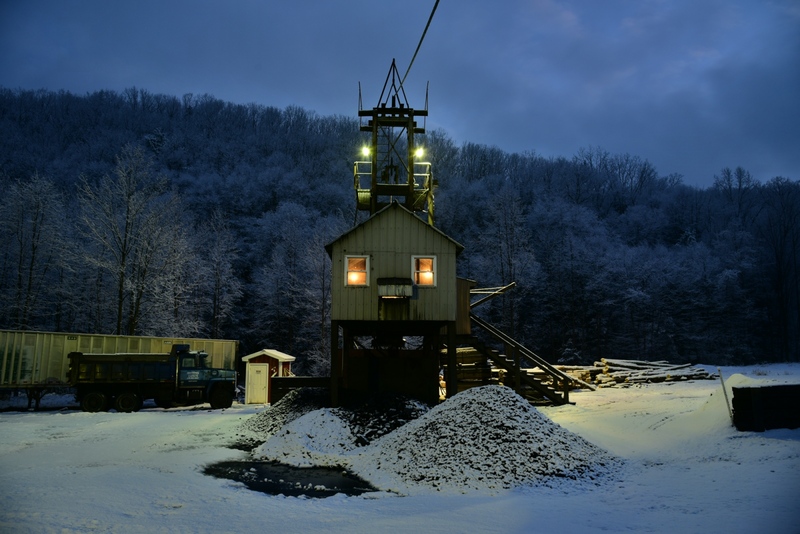 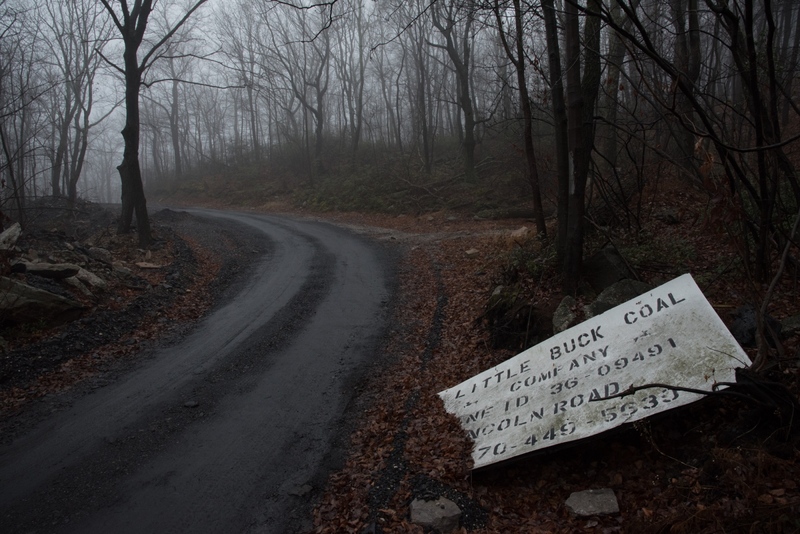 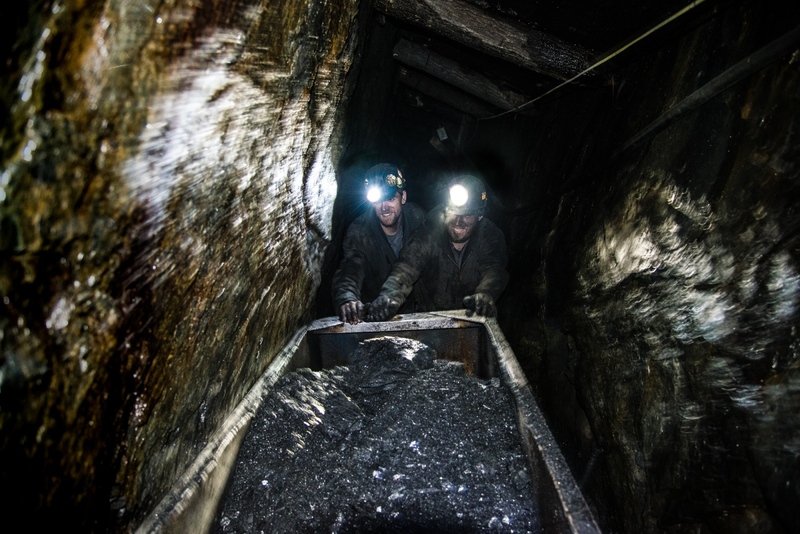 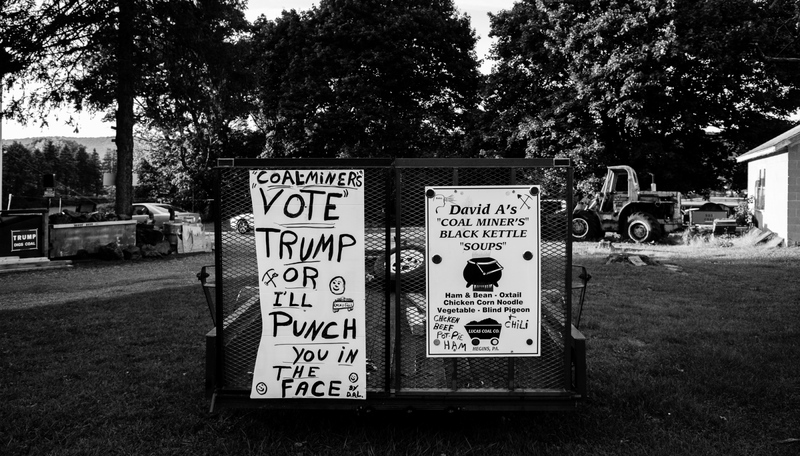 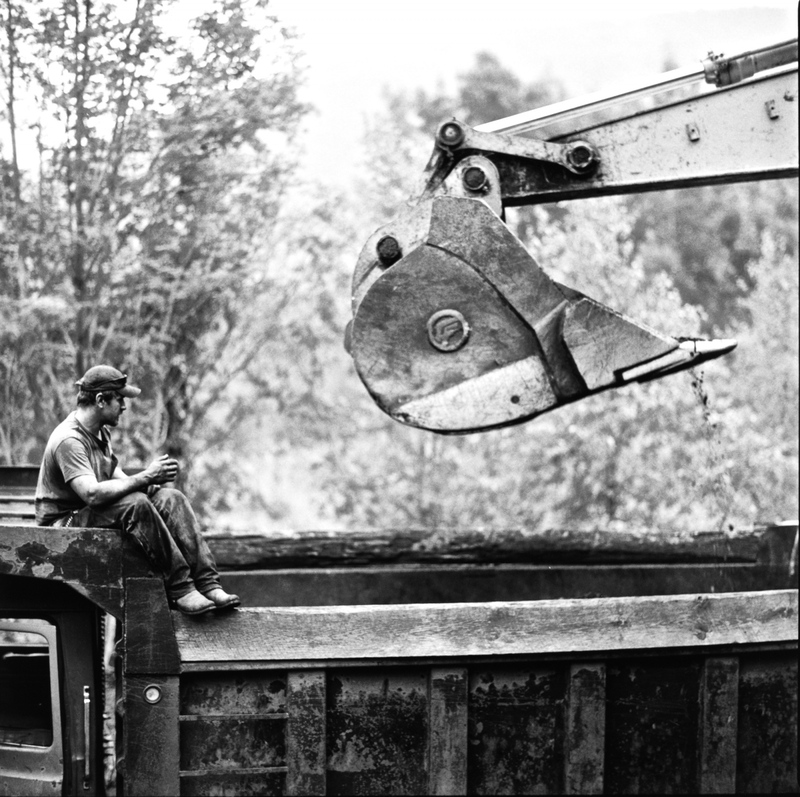 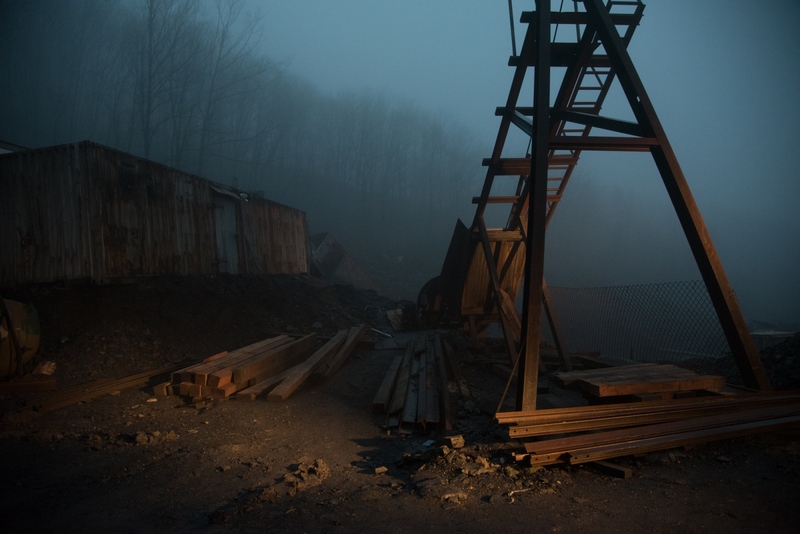 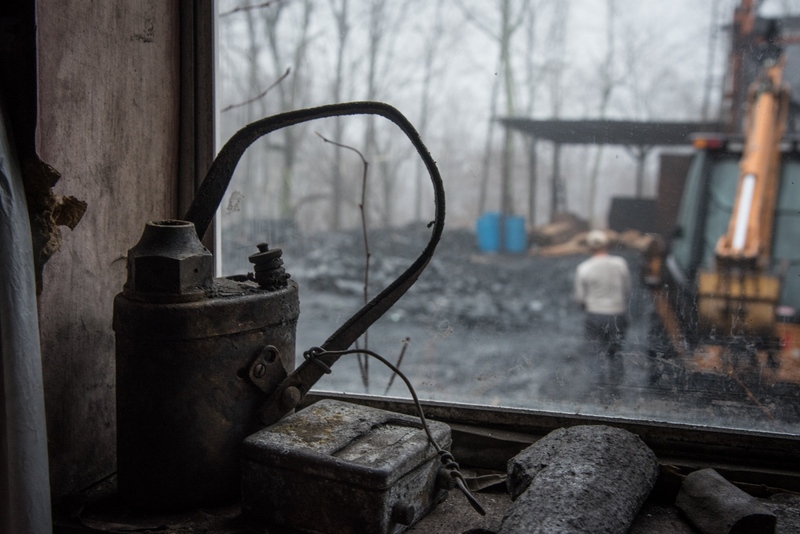 There are fewer than a dozen independent, family-owned anthracite mines left in Pennsylvania, down from 140 in 1985. 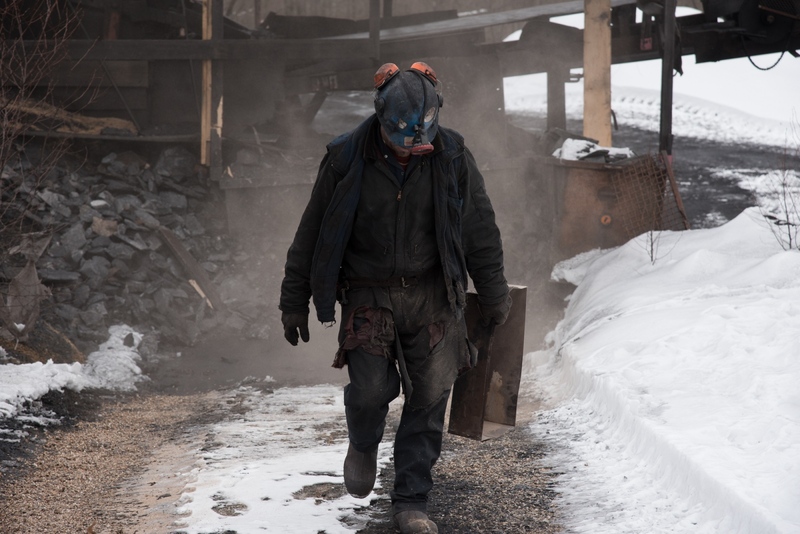 Most employ fewer than 6 people. 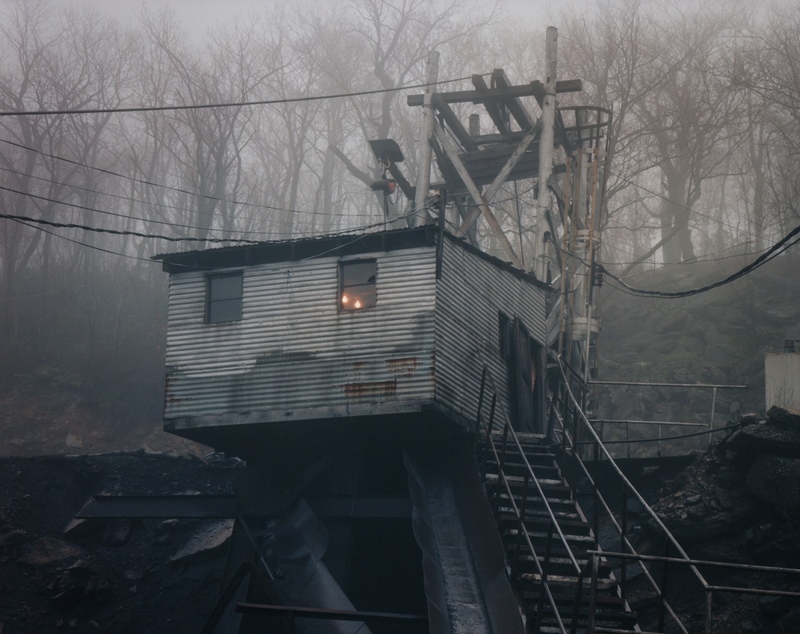 View of the mine entrance as seen through the mine shanty window at Little Buck mine, Schuylkill County, Pennsylvania. 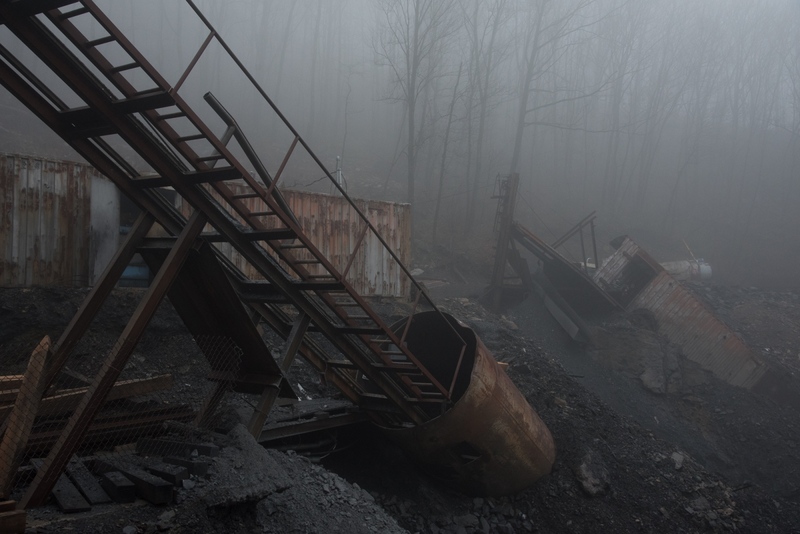 A coal processing plant which has been operating since the 1940's. 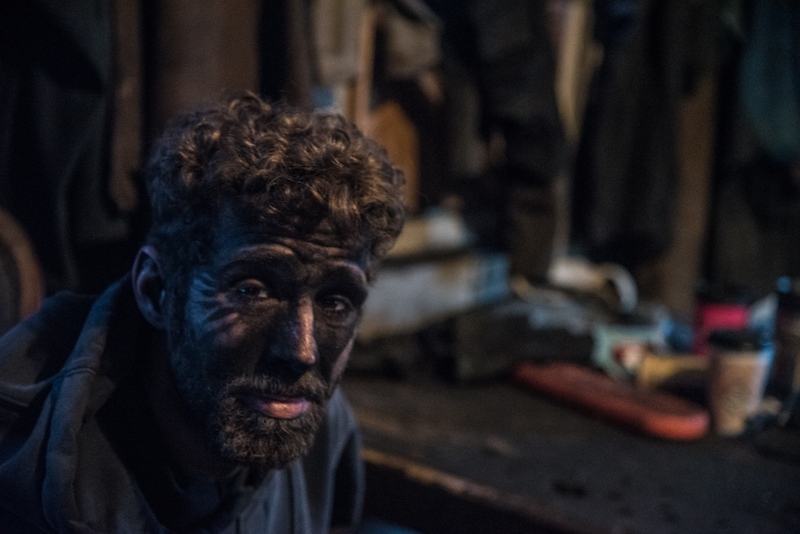 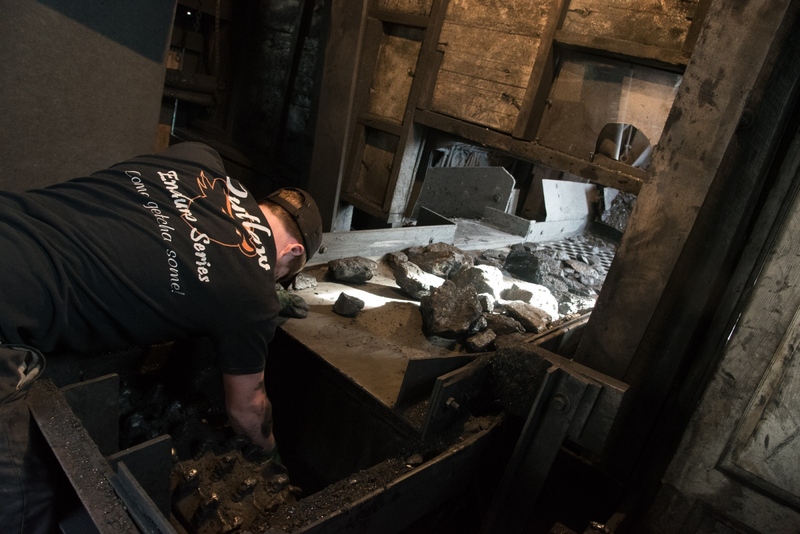 The small mines sell their raw coal to the breakers who then process it and sell to customers for home heating. 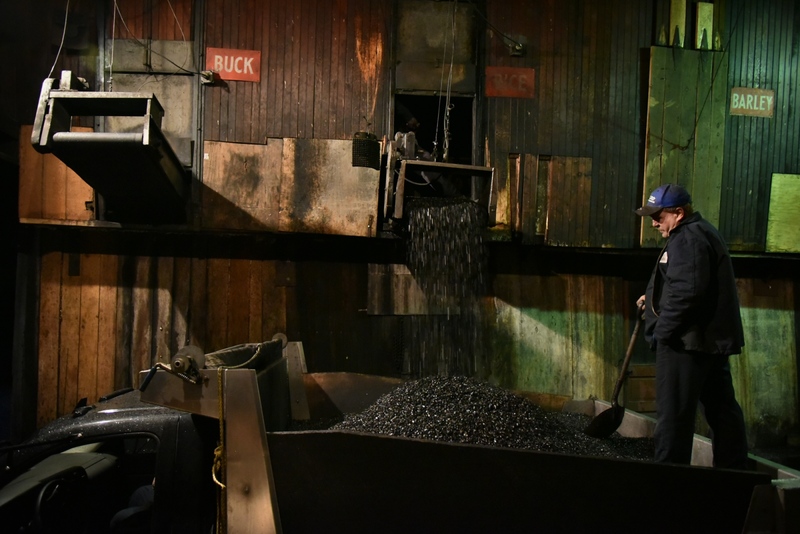 The eleven story structure contained 900 tons of steel which was sold after demolition in 2015.